For the first time in 12 years, the ever-understated Cottesloe Beach saw a one-of-a-kind event unfold right before the eyes of circa 6,000 people. As its name suggests, By The C pays homage to the beachside all whilst intending to cater to the community. Yet amongst the prospect of market and food stalls, and an overall cordial evening, By The C had successfully presented something much more extraordinary: a good dose of signature Australian music. 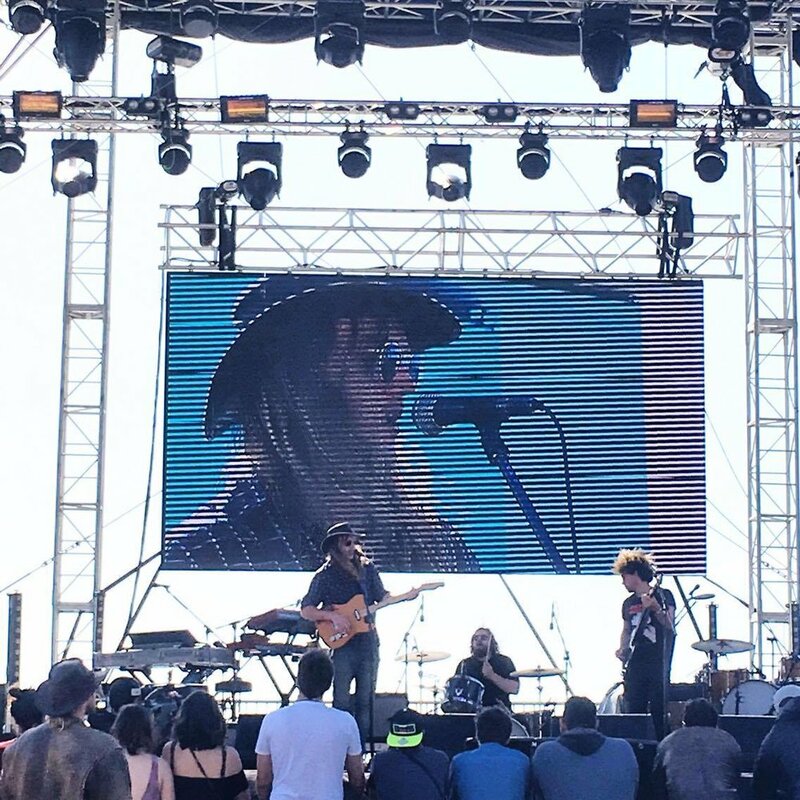 The Sunday event was sold out, and it's no wonder – as the likes of headliners Angus & Julia Stone as well as John Butler Trio (tied in with the chilling coastal front, of course!) are more than enough to win thousands over. First on the lineup was Grace Barbé who, upon arrival, lured people from every direction. With her smooth sounds, there was no end to how much I fell head over heels for her. There was no doubt that the entwinement of both modern reggae and jazzy afrobeat funk was a treat for the soul, and certainly a treat for all. Having also recently won 'Best World Music Act' at the WAM Awards, Grace Barbé is truly one to watch. In essence, her set was flawless in every aspect. In contrast, following act Peter Bibby was initially a real hit or miss. The brazen vocalist, had no qualms about conveying his lyrical and anecdotal idiosyncrasies; if the crowd needed something to take the edge off, he was the man fit for it. As he took to the stage Peter Bibby expressed his appreciation for playing right on the nostalgic shores of Cottesloe Beach, “the very beach [his] father grew up on.” Resemblant of Eddy Current Suppression Ring, Bibby’s charming rustic niche and hard-hitting, witty verses eventually grew on everyone. Wild electric guitar ensued, and the reverberating cheer of the bustling crowd had undeniably been won. In succession headliners Angus & Julia Stone did not – I repeat, did not – compromise on a fiery performance. Hailing all the way from Sydney, the duo appeared as if they were right at home. “We love Western Australia,” they remarked, and it was evident that WA loved them right back. And how could they not? Each of the duo’s incredible vocal range, matched with a thoughtful trumpet solo on Julia’s part, was markedly triumphant. Countless beautiful moments emerged, and perhaps the favourite being the crowd’s effortless ability to finish a many of the duo’s signature verses. To have the experience of watching Angus & Julia Stone live is one thing, but to enjoy them with the backdrop of the Indian Ocean is another. The advent of John Butler Trio brought divided crowds together, howling and dancing in an infectious frenzy. Alongside the hastening sunset the scene was impeccable, as the trio lived up to their status as adept, well-versed performers. To say they were brilliant would be an understatement; they were of such magnitudinal presence that you could still enjoy them from a sizeable distance. And just as well, John Butler Trio’s guitar abilities are always phenomenal to witness live. It was the perfect amalgamation of ardour on both ends. Though, the only issue with the event is something neither the artists nor organisers could really control: the impropriety of the crowd. What was initially the warmth of a packed space quickly became too close for comfort. Many people had no choice but to either succumb to the standing crowd or risk their view of the stage itself. but above all, the evening was a pure $9 cider/10.